Simple. 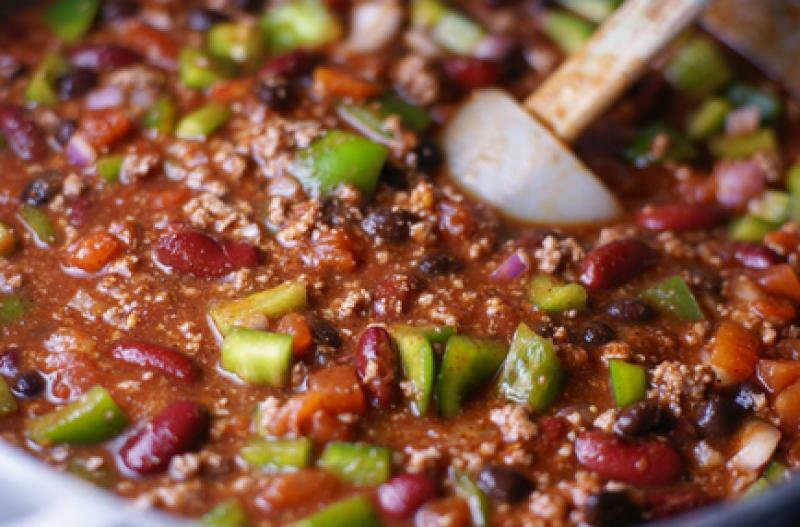 Take your basic chili…and add 2 green peppers. Diced, of course! Brown the ground beef with the minced onion and garlic powder. Drain and add to pressure cooker insert. Seed and chop the green bell peppers. Open, drain, and rinse the black beans and red kidney beans. Add the chopped bell peppers, diced tomatoes, tomato paste, black beans, red kidney beans and minced garlic to the ground beef mixture. Stir together and stir in the chili powder, salt and pepper and hot water. Pressure Cook: Manual/High for 15 minutes. Serve Instant Pot Green Pepper Chili with fruit and chips. Brown 2 lbs. ground beef with 2 Tbsp minced onion and 2 tsp garlic powder. Seed and chop 4 green bell peppers. Open 2 cans of diced tomatoes. Open 2 cans of tomato paste. Open, drain and rinse 2 cans of black beans and 2 cans of red kidney beans. Put baggie in the freezer and freeze up to 6 months in fridge freezer or 12 months in a deep freezer. Thaw in the fridge overnight, or a warm bowl of water for about 20 minutes, before transferring to pressure cooker insert with hot water and pressure cooking. 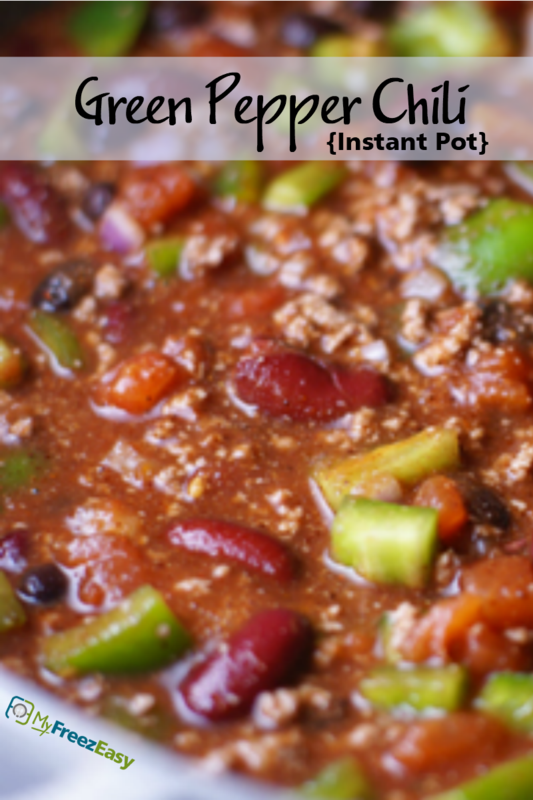 Add 5-10 minutes of pressure cooking time, if cooking from completely frozen or partially frozen. Note that preheat time and release time may vary by appliance. See myfreezeasy.com/pressurecooker for more tips and tricks.